All you competitive, giving people—watch out—the teams are beginning to organize for Sussex County’s first annual Amazing Challenge, sponsored by UNITE SUSSEX. Based on the hit television reality show, the Amazing Race, The Amazing Challenge will be a home grown, Sussex County event that pits teams of two against each other in a competition of physical dexterity, courage, and brains. The Amazing Challenge will take place on October 9, 2010 and will focus on Dewey, Rehoboth and Lewes—for starters. The Amazing Challenge’s teams can be made up of anyone—brothers, sisters, friends, family, loved ones or employees. 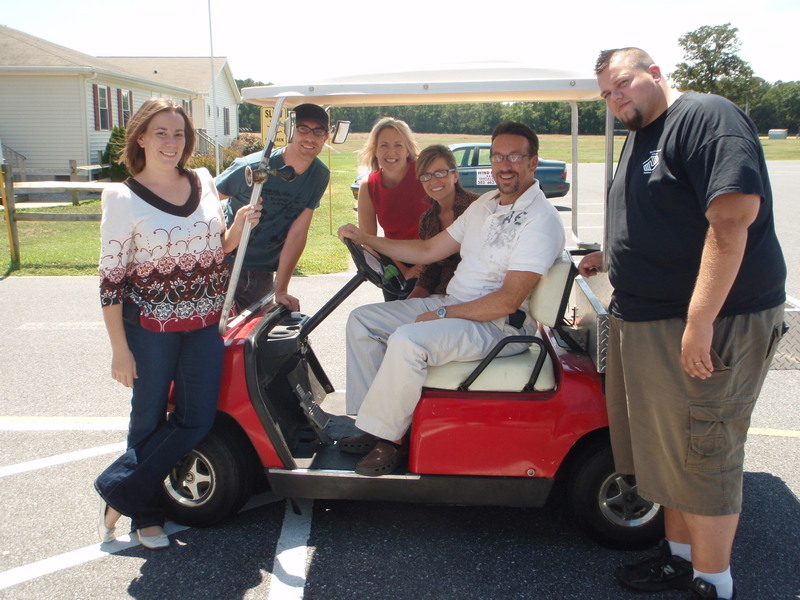 One of UNITE SUSSEX’s partners is the Dagsboro Church of God (DCOG), and they are leading the way to team creation. Their staff is deciding who will be on what team, and they are beginning to compete within each other to win the bragging rights to next year’s race. DCOG’s head pastor is Kim Tephabock, who is also the chair of UNITE SUSSEX. According to Tephabock, “one of the main goals of UNITE SUSSEX is to bridge the gap between faith based organizations, (such as DCOG) and the government, other non-profits and individuals. “In organizing the Amazing Challenge we thought that including small businesses and large employees in the challenge would make it that much more interesting. For me, just the mention of the Amazing Challenge put my employees on the fast track to team development. Our youth pastor, our Hispanic Pastor….others, are all working together to form the strongest team possible. They took on the challenge right away and I’m so proud that they are committed to UNITE SUSSEX’s goals and dreams”. Tephabock is encouraging other businesses and non profits to do what he did—which is to encourage his employees and church members to challenge each other, all in the name of fun and charity. “This is a great motivational tool for my congregation and staff”, said Businesses and individuals may become sponsors and many of the levels of giving include a team. For employer sponsors, a team will help build workplace moral, develop unity, and will use your resources effectively. Plus its fun and for charity. “This is a great opportunity”, said Tephabock. Also, click on “The Amazing Challenge” tab at the top of the page.